Senegalese player Mame Biram Diouf says he has not considered leaving Stoke City despite transfer interest from Germany and China. The Sentinel reports that the Teranga Lions player is wanted by overseas clubs and his status as a non-regular for the Premier League side makes him a major target for a transfer. However, the West African says he has no desire to leave the Potters and is hoping to be granted more game time as the season progresses. 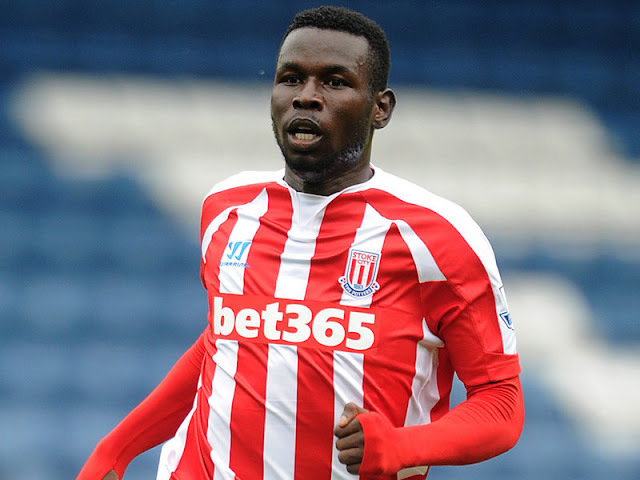 "It hasn't crossed my mind (to leave) because I want to fight for my place here and see what is going to happen," Diouf said. "January is coming but I hope I will get more games and the manager will want to keep me. "Like Marc Muniesa said, I want to play football and I want that to be at Stoke. I just want to play and I am happy here. I hope they will understand that and let me play. “As a football player, you just want to play. That's all I'm asking for, I want to play football and enjoy it. "I know I can give something for the team. Hopefully, that game at Watford will change a lot."